One thing I was most excited about buying when I was pregnant was a changing bag, a woman can never have too many bags right, oh and shoes. Luckily for fashion frenzy mummies, many changing bags are now rather fashionable, but there are so many gorgeous designs to choose from. 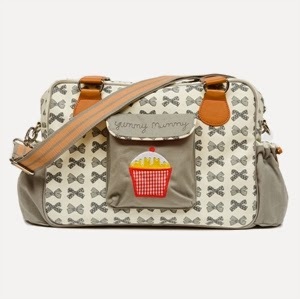 I've chosen my favourite baby changing bags from the Baby Lurve website to share with you. 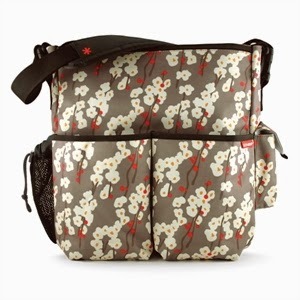 I love the pretty floral design on this changing bag, it comes with a multitude of pockets and compartments so everything has its own space. The bag features integrated shuttle clips which allow you to neatly attach your bag to your pushchair giving a stylish neat finish. I think this bag looks unusual to what you would expect of a traditional changing bag, in fact I really like the look of it as an everyday bag. However, this stylish lightweight bag features a large internal pockets with 8 compartments, a bottle pocket and a zipped pocket for valuables. Even though its a beautiful looking bag its made from durable polyester so easy to wipe clean. This post simply wouldn't be a changing bag post without a Pink Lining bag featured. Pink Lining are very well known for their changing bags and styles, this is a more traditional changing bag style featuring a bright design and 'Yummy Mummy' embroidered on the front. The thing I like about the Pink Lining bags is they come with a small pocket for your essentials, a small make-up mirror, long ribbon fob, changing mat, thermo cup holders and a detachable messy bag. Everything you could possible need into one bag! Again this beautiful changing bag, doesn't particularly look like a traditional bag would, and could easily get away with being an overnight bag. 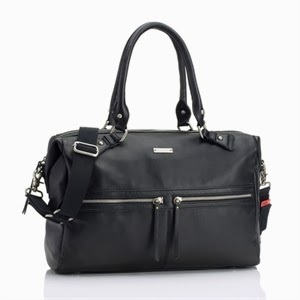 Its made from luxurious soft leather and features a large spacious internal section. It comes with six internal storage compartments as well as two outer pockets and a vanity case. 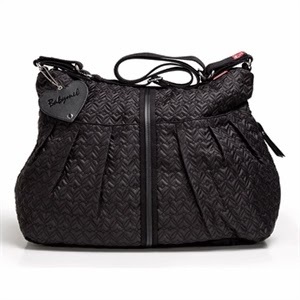 Its a sophisticated looking changing bag featuring a wipe clean material for practicality. Even now Jack isn't a baby, we still have to carry around 'supplies', we don't want to be caught out nappy-less, had that before, or without juice or snacks. However, Jack currently loves carrying his own bag around so we purchased him a little rucksack for which he carries his own juice and snack. 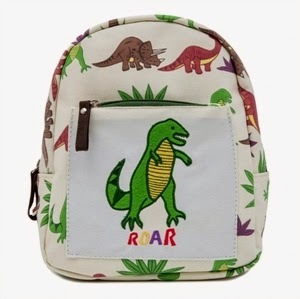 Pink Lining do a fantastic range of rucksacks for little kiddies which I love and know Jack would love this dinosaur one, hes obsessed with dinosaurs. The Baby Lurve website features a wide range of changing bag choices as well as other categories such as prams, car seats and safety. Baby Lurve also offer free delivery on all orders over £29.95 - which lets face it isn't hard to spend on beautiful products and next day delivery for £4.95! Some great choices. I love the Skip Hop one!